It might seem a bit slow on here, but real life has been very hectic indeed. My workload has increased exponentially, and I have been putting in hours at all times of the day and night to keep on top. Here are a few photos, just to prove I don't sit drinking coffee and watching daytime TV. 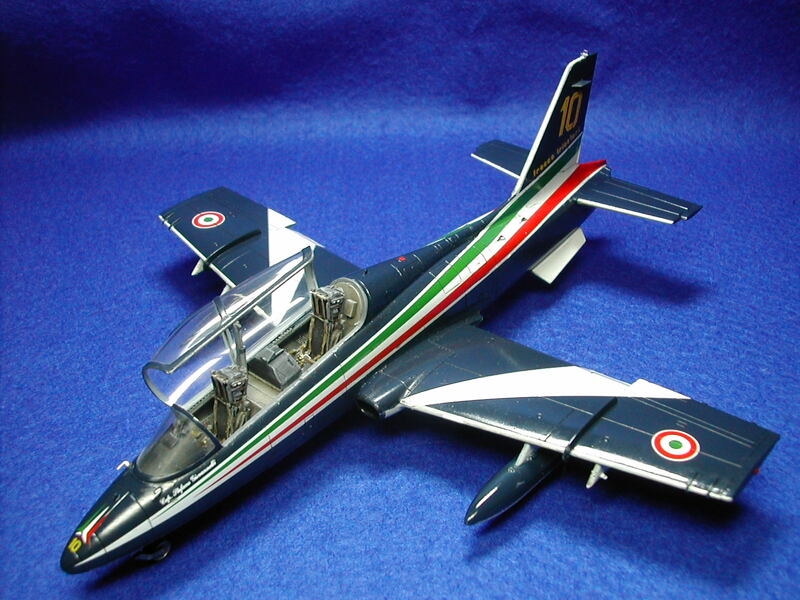 First, this Aermacchi MB 339A in 1/48 scale, built from the Frems kit. 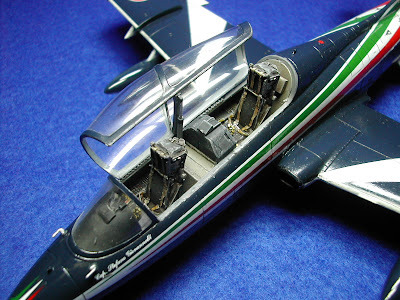 It's a nice kit - the only addition I made was a pair of resin ejector seats. The decals were questionable though; if you are building the aerobatic team model, as I was, then the decals are crucial. The kit offerings were thick and brittle, and replacement sets are hard to find. 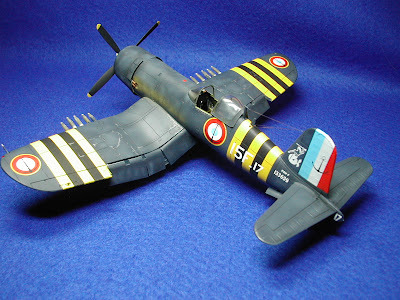 The Corsair F4U-7, is, of course, by Hasegawa. 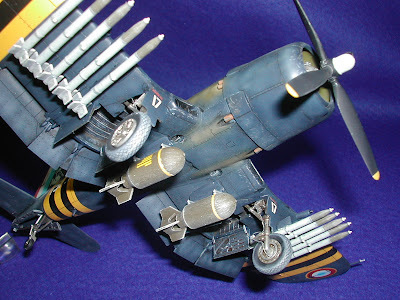 I built it from the box, only adding extra detail to the engine (wiring) and the cockpit (seat belts and gun sight). Other than that, it was a great build, and very satisfying. How does your workbench grow?